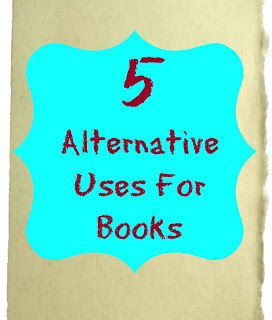 Christa from Controlling Craziness did a round up of alternative uses for books. There are some stinkin cute ideas, too! Go check them out! The Super Bowl is this weekend, and I am all about football. Okay…not really. But my husband is and this year I’ve actually followed it a little bit. But, with the Super Bowl this weekend, here are some really great party ideas! 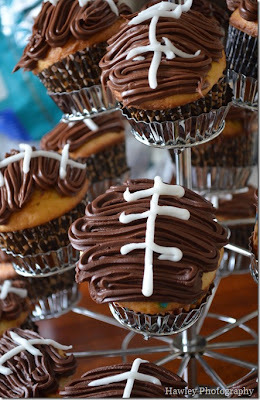 How cute and easy are these Football Cupcakes from Life with the Hawleys? Genius, I tell ya!! If you aren’t already following Smart School House, get yourself over to that blog and become a follower! Kelly is always coming up with the cutest ideas! 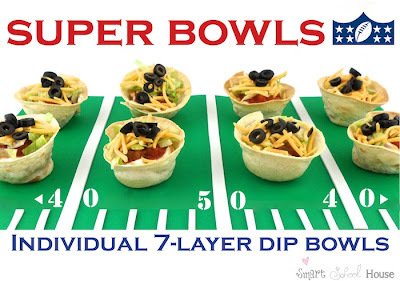 Like these Super Bowls…. 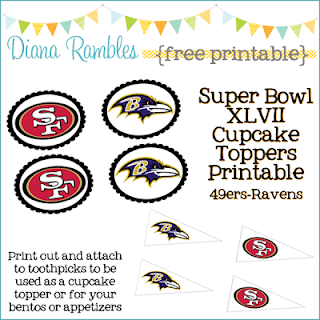 And back to cupcakes, Diana Rambles made some free Cupcake Topper Printables that would go perfect with your party. 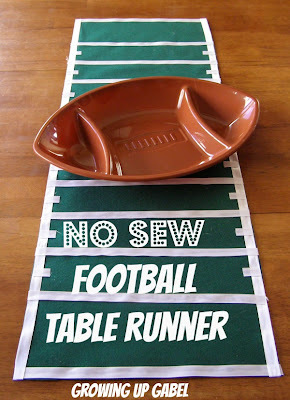 How awesome is this No Sew Table Runner from Growing Up Gabel? Love!!! Hopefully you’ve got some great ideas to share at your party! I know I do. Don’t forget to check the features at The Thriftiness Miss! And grab a button if you were featured! I am following you thru GFC! 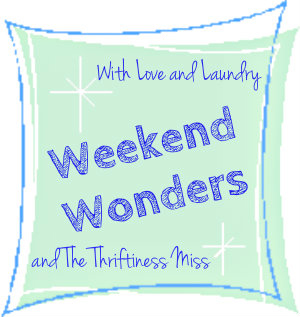 I am totally new to the blogging world so you should feel special that I’m following! Thanks for the party! Thanks so much for hosting your lovely party! Happy Friday. I just shrilled when I saw my cupcakes on here! So excited! Thanks Shatzi!